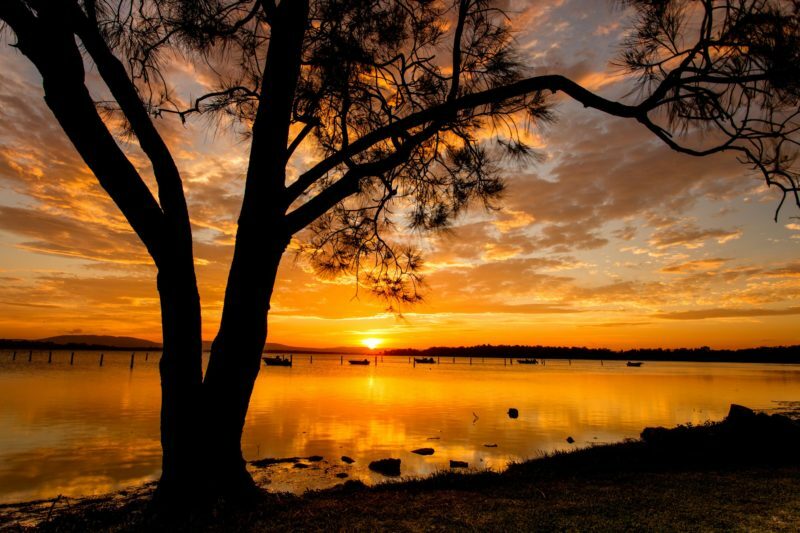 Secura Lifestyle Lakeside Forster is located on the tranquil shores of Wallis Lake in Forster on the Mid North Coast of NSW. 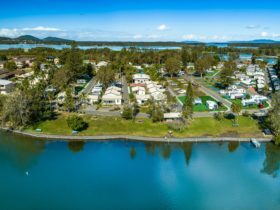 The Park offers the largest caravan and camping sites in the region and wide lake frontage including boat moorings. Newly released, they have now positioned more accommodation to take advantage of their blissful, panoramic, waterfront vistas. Sit back, relax and enjoy sunsets over the lake from your private balcony. 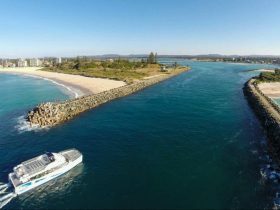 Easy access to spectacular waterways, local patrolled pristine beaches, rivers, and hinterlands. 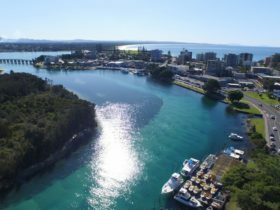 Secura Lifestyle Lakeside Forster is only minutes to the town centre, shopping, restaurants, cafes, golf courses and more! 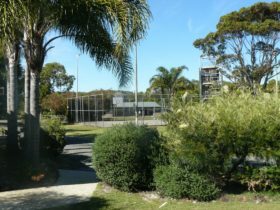 Facilities at Secura Lifestyle Lakeside Forster include a boat ramp, basketball court, games room, movie room and picnic area with electric barbecues. The 22 metre resort style swimming pool has its own beach area. Each self-contained villa and holiday cabin includes air-conditioning, flat-screen television, DVD player and a private bathroom with hairdryer. All have a kitchenette with microwave and refrigerator. Several include a spa bath and beautiful lake views. Sunset Bungalow (One Bedroom) – sleeps four, master bedroom has a queen size bed, single bunks situated in walk through opposite the bathroom, bunks suitable for children or small adults. Sunset Bungalow (Two Bedroom) – sleeps five, master bedroom has a queen size bed, second bedroom has a sets of bunks (double on the bottom, single bunk on top). 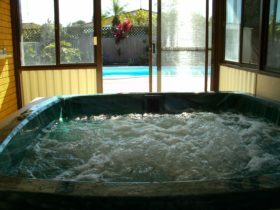 Bayview Spa Villa – sleeps four. Master bedroom has a queen size bed and television, second bedroom has a two single beds that converts to a queen bed and television. Bathroom, ultra modern kitchen, large air-conditioned living room and huge balcony. Situated on the waterfront the standard cabin has beautiful views over the lake from the lounge room. Admire the pelicans, black swans and watch the changing colours of the sky when the sun is setting. This two bedroom cabin has a queen size bed in bedroom one, and bedroom two is fitted with bunks (linen supplied). Also on offer is air-conditioning, a television with cable channels and a kitchenette with microwave, small oven and hotplates. There is also a shower, toilet and bath linen. Situated adjacent to the resort pool, playground and basketball court, these cabins are air conditioned and feature two televisions with cable channels, a DVD player, dining table and corner lounge. There is a dishwasher, convection microwave, electric hotplates and refrigerator. It has a shower, toilet and vanity. There is a queen bed in the main bedroom and bunks and a single bed in the second bedroom. The large front verandah with outdoor setting, overlooks the pool. All linen for beds and bath are supplied. Complimentary WiFi is included. They have one with universal access and another that fits up to seven adults. 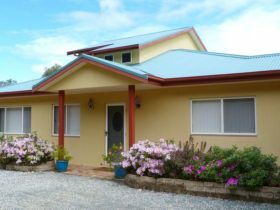 Family Villas – sleeps six people, master bedroom has a queen size bed and it’s own television. Second bedroom has two double bunks. Bathroom, ultra modern kitchen, large living room that leads onto large balcony. The unpowered camp sites are located in peaceful and natural surroundings. Large site close to amenities, barbecue, camp kitchen and wide waterfront of Pipers Bay, Wallis Lake. The powered sites are located in peaceful and natural surroundings. There are many different powered sites available. Pet friendly in low season. All grassed sites are level and the views from the waterfront are spectacular, many sites are separated by established gardens. En suite sites with Foxtel have a concrete slab and a paved area with table and chairs.